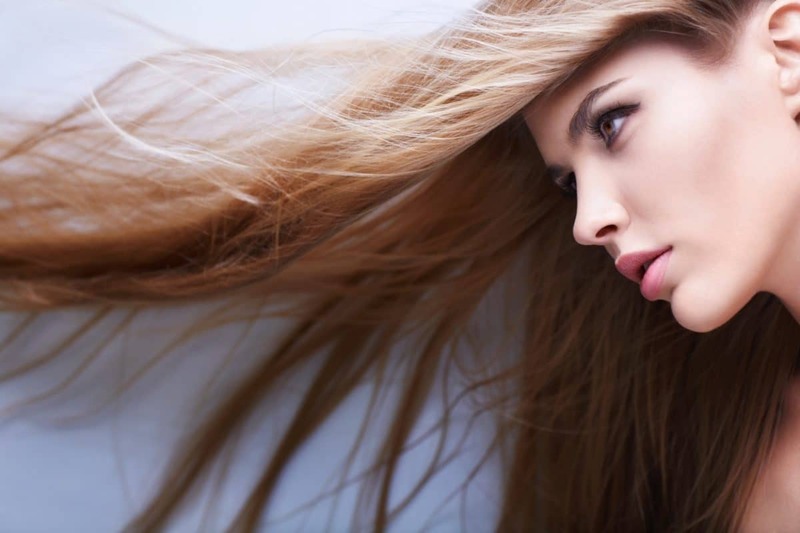 Most of us wonder whether we can increase our hair volume naturally. Our crowning glory might be losing its shine and reducing in size and number. Factors like hormonal issues or genetic problems can result in our hair losing its volume. Many of us have been caught in the trap of spending extravagantly on products of hair care like shampoos, gels, oils, and creams which do not deliver the promised results. The good news is that by following a proper diet and some few simple tips, you can gain hair that is thicker, fuller and more voluminous. Try out the following remedies to increase your hair volume naturally. Don’t ignore these tips as they will surely add natural volume to your hair with less cost and effort. These tell you how to get healthy hair. Intense stress, genetics, and hormones are all factors which make you lose thickness of hair with a passage of time. Surely, your hair would have been much thicker when you were younger. With aging, our hair also ages. Also, the use of straighteners, dyes, and hair dryers can exacerbate hair damage over time. Hair is composed of protein, so we should have enough protein in our system. Make sure that in your diet, you include turkey or chicken, eggs, fish, beans, nuts, and soya products. These items increase production of keratin and thus, hair. You can get enough iron from lean meats but for vegetarians, the diet must contain lentils, beans, and soy products. One popular way to get this nutrient is via dark chocolate. Other foods include oysters, roasted pumpkin, cocoa powder, watermelon, low-fat roast beef, wheat germ, and sesame flour. This vitamin is found in Kale, turkey, tuna, peanuts, potato, tofu, yogurt and brewer’s yeast. Every person must drink at least 6 to 8 glasses of water every day. One should cut down on caffeine, alcohol, and smoking. As per this remedy, a gelatine based hair mask must be used which is amazingly effective for enhancing your hair volume. Another less known fact is that gelatine helps increase hair thickness. After undergoing some processes, it produces collagen powder that is vital for good hair health, making it thick, voluminous and strong. Hot water -1 cup (200ml). Aloe Vera gel- 1 tbsp.(20gms). Boil the water. To the hot water add Aloe Vera and rosemary oil. Once these have dissolved, add the gelatine to make the mix thick. Wet your hair with lukewarm water (always avoid hot water). Apply the gelatine mixture. Set aside for half an hour, wearing a shower cap. Wash hair normally. Do this treatment twice a week. Combine Aloe Vera with mayo and add tomato pulp. Use a spoon to get a thick mix. Apply this cream to wet hair and set aside for 20 minutes. Rinse normally and use conditioner to get magical results. Onions are rich in essential minerals which can prevent hair loss. They stimulate hair growth by nourishing follicles. When you combine this with honey, you have an amazing product. This mix can be made and used thrice a week. Peel and chop the onion. Add the honey and make a paste of this mix. Apply to wet hair and massage well. Rinse with lukewarm water. You will see your hair growing thicker with every passing day. Amla has been a remedy for hair problems since ancient times. From promoting hair growth to preventing graying of hair, Amla has versatile qualities. Consume amla on empty stomach for wonderful results from this fruit rich in Vitamin C.
Many of us wonder how often we should shampoo our hair. It is good to be cautious in this respect. If you have a very oily scalp, you should wash your hair daily. Otherwise, shampooing thrice a week will do. In the case, you suffer from dandruff; the best remedy is to shampoo your hair thrice a week with Ketomac shampoo for 4 weeks. This shampoo contains the anti-fungal agent Ketoconazole which kills dandruff causing microbe, Malassezia found on the scalp. At the same time, it must be noted that it is good to use conditioner on hair after every shampooing. Conditioner makes hair more manageable and easy to untangle. You must apply conditioner at least 1 to 2 inches away from the scalp. It is very good to massage your scalp since it enhances blood circulation and makes hair roots healthy. Massage your scalp and hair with warm oil. Always do the massaging with your fingers in circular motion. The best oils to use are jojoba oil and coconut oil. To combat dandruff, use rosemary oil. Castor oil helps to reduce hair fall. After the massage, wrap hair in a warm towel for a few minutes to offer additional conditioning for your hair. 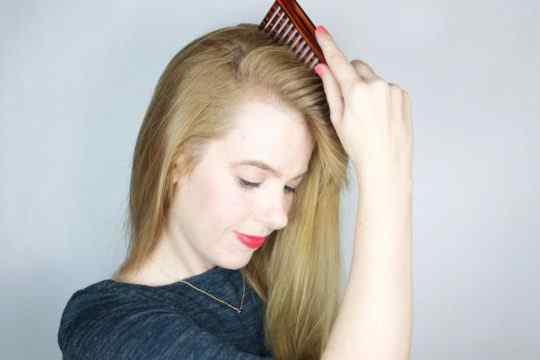 This routine is one of the sure fire ways to increase hair volume. As much as you can, try and avoid hair treatment methods like coloring, straightening and perming. Such processes render your hair dry and dull. Also, they make your hair fragile and weaken their roots, thus leaving you more prone to hair loss. Stress is a major culprit behind hair loss. Excess stress can result in graying of hair as well as thinning of hair. The best ways to de-stress is following yoga or exercise in your daily routine. This not only reduces stress but promotes the flow of blood and oxygen to your scalp. These are some of the useful tips for the increasing volume of your hair.